ONE Contact - You will be provided a single National Accounts Coordinator personally responsible managing the process of ensuring systems are serviced, maintained and ready to perform if called upon. 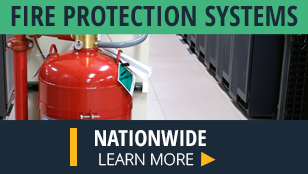 ONE Solution-Through your ORR National Account coordinator, you will truly experience seamless nationwide fire protection tailored to your specific needs. We handle it all so you can focus on regular operations with the peace of mind of being protected. 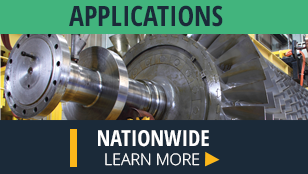 From state-of-the art fire suppression systems for data centers and warehouses, to a variety of fire detection and notification preferences, ORR has you covered. 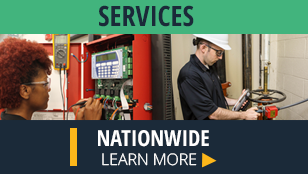 As a one stop source for fire protection, we promise impeccable service and reliable systems, no matter your application. ORR has over 40 years experience in designing, installing and servicing fire alarm, fire detection and fire suppression systems. We are experts in protecting mission critical facility environments, such as telecommunication, data processing, power generation and manufacturing from the threat of loss due to fire. We take our role as fire safety consultants seriously, offering you seminars to keep you informed of emerging fire protection technology, NFPA fire code updates, Lunch & Learn programs and other educational materials. Whether you are looking for a replacement for Halon 1301 or you are building a new facility, ORR has the expertise and knowledge to design, install and service your fire alarm or suppression system.